Welcome to sated! We're officially launching our site and announcing the premier issue! 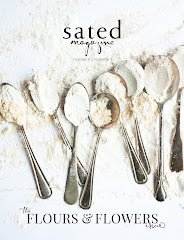 sated is a new independent publication dedicated to beautiful images and thoughtful writings about food. Each issue explores a single subject, such as chocolate, through recipes, interviews, stories, art, and photography. The end result is an intersection of culinary magazine and coffee table artbook. sated is a leisurely exploration into the sideways and byways of food -- its history, its meaning, and most importantly, its beauty. sated is the creation of Anita and Stephanie. To read more about our thoughts behind sated, see our posts here and here. The first issue of sated is all about Dark Chocolate. It will explore the chocolate-making process at a bean to bar company, reveal the best chocolate shops in the San Francisco Bay Area, compare baking chocolate brands, and more. Issue 1 will be available for purchase through this website in a few weeks, so please sign up for our mailing list to be notified when it's published! 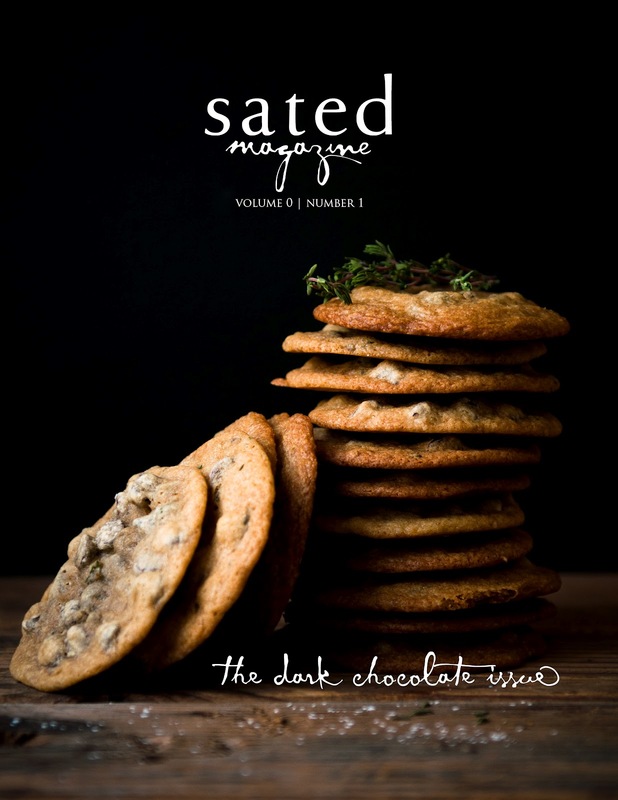 Additionally, to celebrate the upcoming launch we are giving away two copies of the first issue of sated to two lucky winners. 1)Leave a comment on the Dessert First(Anita's site) post for one entry. 2) Leave a comment on the Desserts for Breakfast (Stephanie's site) post for one entry. 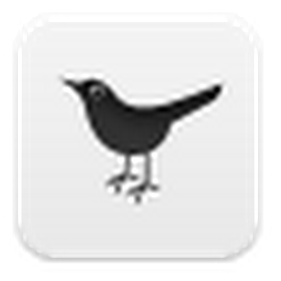 Good luck, and thanks for supporting sated. We will be putting up previews of the magazine soon, so keep checking back!